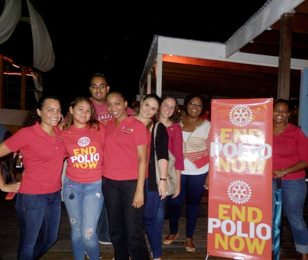 Rotary and Rotaract clubs of Cayman joined forces on October 24, 2014 in observation of World Polio Day. 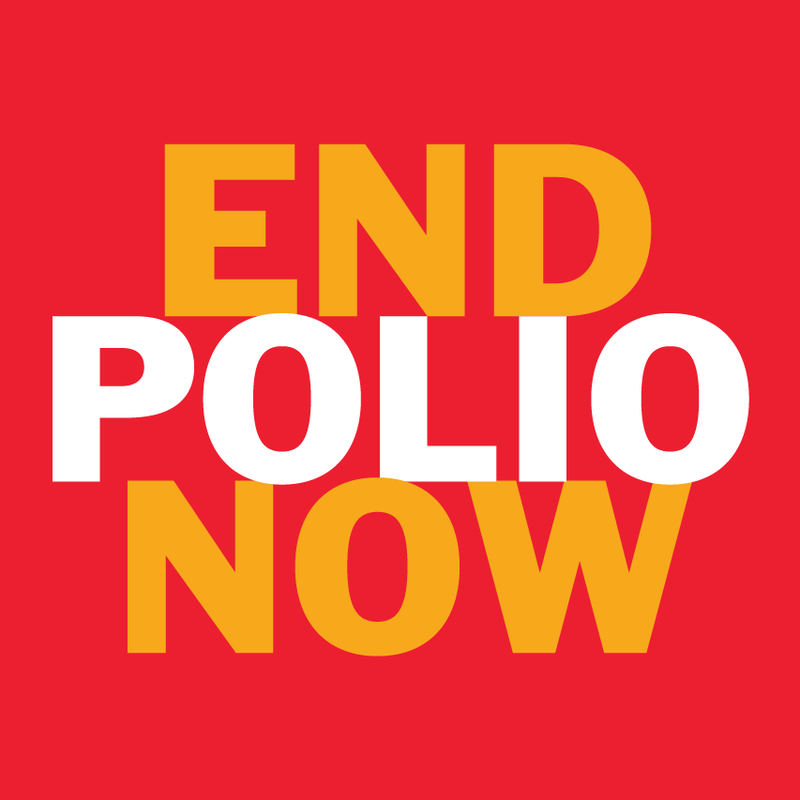 World Polio Day Awareness Interview on Daybreak, Cayman 27. 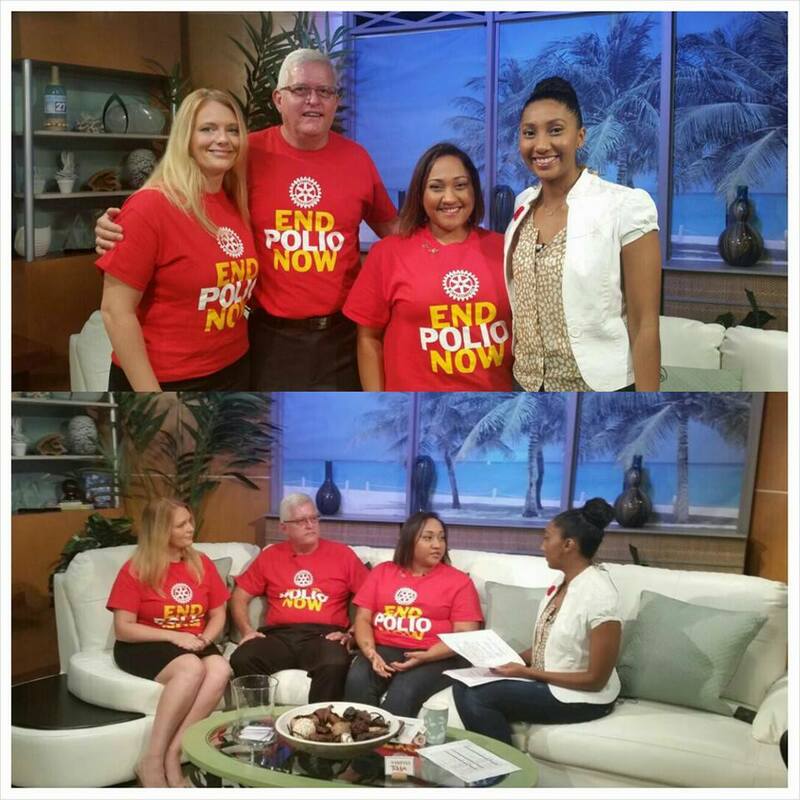 To promote and increase awareness of polio, President Louise, Immediate Past President Naude Dreyer of Rotary Grand Cayman Central and President Stephanie Rattan of Rotaract Club of Grand Cayman appeared on the local morning show. 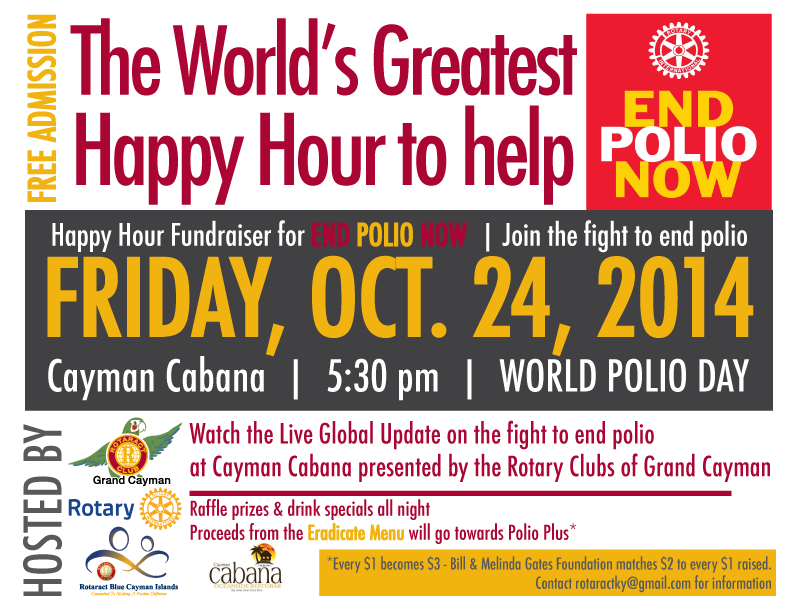 The Rotary Family (all four Rotary clubs and bother Rotaract clubs) of the Cayman Islands came together to host The Worlds Greatest Happy Hour and LiveStream event for a global update on the fight against polio. A signature menu was made available, with a portion of beverage and food sales going toward the global End Polio Now campaign and a raffle.